Armed separatists storm Chinese Consulate in Pakistan's southern port city Karachi Friday, triggering intense hour-long shootout. 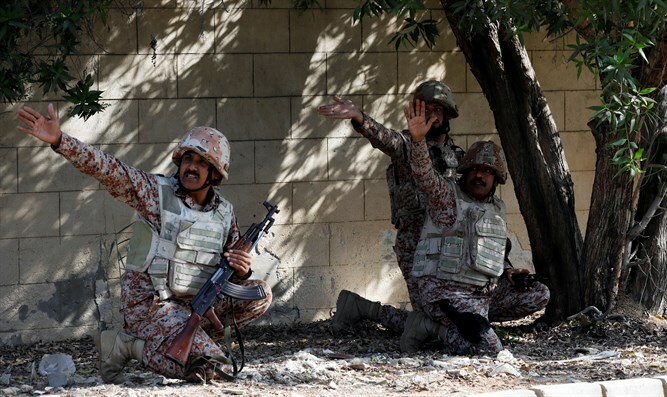 Armed separatists stormed the Chinese Consulate in Pakistan's southern port city of Karachi on Friday, triggering an intense hour-long shootout during which two Pakistani civilians, two police officers and all three assailants were killed. Balochistan Liberation Army (BLA) took responsibility for the attack. "We cannot remain aloof of our responsibilities regarding protection of our people and our land," said BLA Commander Aslam Baloch. "We cannot stay silent if Baloch are butchered on daily basis, we will do anything in our limits to take revenge." "The world should clearly understand that to achieve our freedom and for the defence of our people we can go to any extent," Baloch later tweeted. His twitter account has subsequently been suspended. Armed with guns the three attackers calmly approached the security checkpoint of the consulate and opened fire. The men threw up to ten hand grenades at the compound as they tried unsuccessfully to storm the building. They were stopped by guards before reaching the consulate. Balochistan is one of the four provinces of Pakistan. It is the largest province in terms of land area, forming the southwestern region of the country. The Balochistan insurgency is a guerrilla war waged by Baloch nationalists against the governments of Pakistan and Iran in the Balochistan region, which covers Balochistan Province in southwestern Pakistan, Sistan, and Baluchestan Province in southeastern Iran, and the Balochistan region of southern Afghanistan. Being crucial for Pakistan's economic future, China has invested $46 billion in the region. 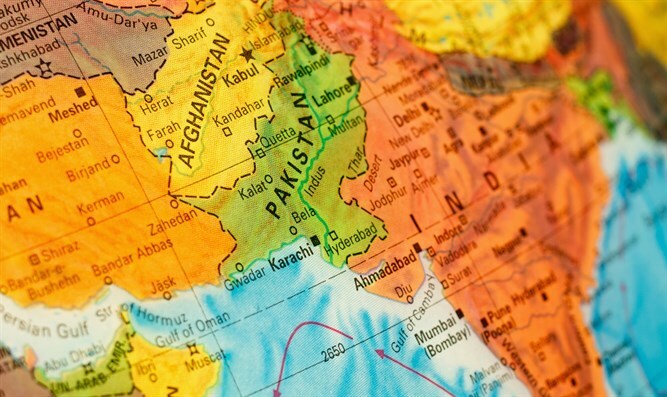 A February 2011 article by Selig S. Harrison of the Center for International Policy called for supporting "anti-Islamist forces" along the southern Arabian Sea coast, including "Baluch insurgents fighting for independence from Pakistan", as a means of weakening the "rising tide of anti-American passion" in Pakistan and heading off any alliance between Islamabad and Beijing – Pakistan having granted China access to a naval base at Gwadar. There are about 10 Jewish families in Karachi, according to Dawn News. According to Aitken’s Gazetteer of the Province Of Sind, there were only 428 Karachi Jews enumerated in the census of 1901. Many of them belonged to the Bene Israel community who observed Sephardic Jewish custom and are believed to have settled in India shortly after the destruction of Jerusalem by Titus. Dawn cites other documents recording about 2,500 Jews in Karachi with about 100 in Peshawar at the beginning of the 20th century. At the time of Pakistan's independence in 1947, many Jews migrated to India but about 2,000 stayed in Pakistan. Their first real exodus occurred soon after the creation of Israel that triggered many incidents of violence against Jews. The Karachi synagogue became a site of anti-Israel demonstrations. The majority of Jews who left Pakistan are said to have settled in Ramle, Israel, and have built a synagogue called Magen Shalom. Pakistanis frequently call Baloch "agents of Israel", and knowledgeable observers report that in conversation it stands out how Baloch wish it known that Kurds are their brothers, and that Baloch routinely defend Jews.